We have cordless battery and fuel-powered polishers from quality manufacturers like Milwaukee and Ryobi available at SGS. Our wide selection of polishers are perfect for a variety of uses, including car polishing and buffing. Polishers and buffers work by creating a smooth, shiny surface by rubbing them with polish. They’re typically used by car enthusiasts or auto body shops as well as for furniture and flooring jobs. Apply polish to the machine’s pad and gently spread it around the area you’re working on before using the polisher to work in the polish. A versatile option, the Milwaukee M18FAP180-0 Fuel Polisher has a diameter of 180mm and is both compact and cordless, making it easier for moving around than corded alternatives. It has 8 position variable speed options that range from 360-2200 RPM (making it ideal for polishing a car, which it can manage from a single charge) and it can also be bought as part of a bundle. 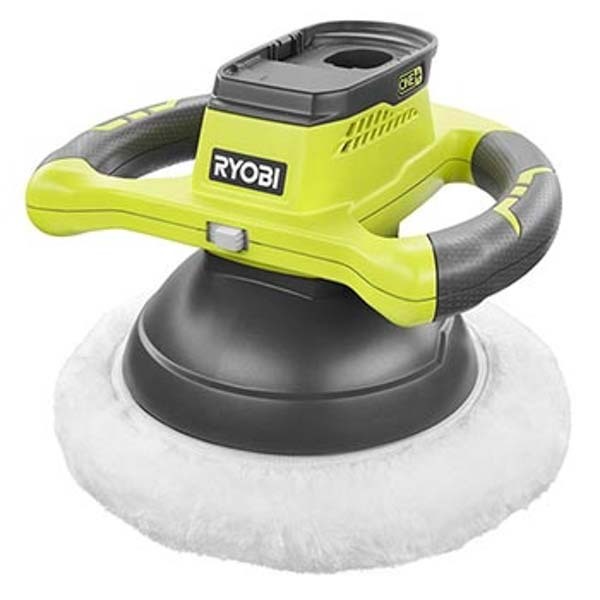 Alternatively, the Ryobi ONE+ buffer is designed with motor enthusiasts in mind. Flexible enough to tackle simple polishing and waxing applications - as well as furniture and flooring work - this buffer is the perfect addition to your ONE+ tool kit. The powerful motor provides up to 2,500 orbits per minute, delivering optimum performance, even during extended use. Should you wish, it’s also available to purchase as part of a bundle. 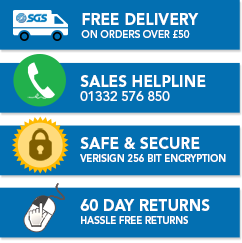 Our friendly sales staff are available via email on sales@sgs-engineering.com and phone 01332 576 850 to offer assistance throughout your entire purchase. Warranty information is available on each product page, and we offer a 60 day returns policy should you need it. There’s free next day delivery option offered on any purchases, so you can shop with us in complete confidence. Find out more about how to look after your automotives with our expert advice. Learn more about your power tool battery options with our Ryobi battery guide.